Posted by Richard Foote in Autonomous Data Warehouse, Autonomous Database, Oracle Indexes. When the Autonomous Data Warehouse was initially released in March 2018, one of the notable restrictions was that it did not support typical Data Warehouse performance related structures such as Indexes, Partitioning or Materialized Views. The platform was deemed efficient enough to not require these features, which would unnecessarily complicate the autonomous environment. If you’re not a “highly skilled Oracle Database tuning expert”, let me give you some advice on when to create indexes in the Autonomous Data Warehouse (on Oracle Database 18c where these features are NOT automatically created and maintained by autonomous processes). I’ll initially focus on two of the key capabilities available in the Autonomous Data Warehouse environment that might indeed make some index structures unnecessary, although neither is unique to autonomous databases. Frustratingly, if you have a session that performs a database operation for an extended period, the session looses its connection and hangs indefinitely. You need to start a separate session to confirm when the task actually completes and track progress by say looking a v$session_longops or querying dba_segments. Firstly, if you run a query on a table using filtering columns for the first time, then none of the smarts in the autonomous database environments are going to help you here. Things will initially run slowly, because Oracle would not have detected yet there is anything that needs to be tuned. The tuning process is “reactive”, in that Oracle needs to find an issue first before it can potentially address it. The second key point is that if only a small fraction of the overall data is required or need be accessed, if the data being accessed is very highly filtered, then a database index is likely going to be highly effective, even within the Autonomous Data Warehouse. This is precisely why indexes are typically required in databases. Although very often, large volumes of data are indeed accessed in typical Data Warehouse workloads, this is not always the case. It’s certainly not uncommon for ad-hoc queries and the such to only access a small fraction of an available data set. ziggy where lo_orderkey = 2294059393"
The query takes nearly 6.5 minutes to complete which is clearly a long time to return a few rows. Note that the Autonomous Data Warehouse platform is Exadata and Exadata has a number of key capabilities, such a Hybrid Columnar Compression (HCC), Smarts Scans, Storage Indexes and the such that can be extremely useful in Data Warehouse environments. Exadata Smart Scans and associated Storage Indexes can result in extremely efficient Full Table Scans by potentially skipping large sections of the physical data from having to be accessed and by returning just the required data set back to the database. 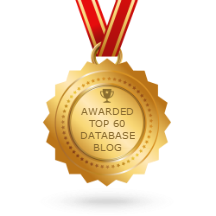 I’ve blogged previously a number of times on the power of Storage Indexes and Exadata related smarts. Note that initially, no bytes are saved by storage indexes as they don’t initially exist. Although only a relatively small amount of data is actually returned to the database server, having to read the entire table is expensive and why the query is taking so long to complete. We note that the overall elapsed times have now decreased, taking only 1 minute, 45 seconds to complete. The storage index is now providing some benefit but as I’ve discussed previously, there are limitations to their effectiveness depending on data distribution and the physical clustering of the data. So your mileage will vary on the effectiveness of smart scans and no, Oracle does not (currently) automatically re-cluster data to improve smart scan performance when most effective. lo_linenumber, lo_custkey, lo_partkey, lo_quantity from big_ziggy where lo_orderkey = 2294059491"
After new data gets loaded into the table, we’re back to being reliant on the effectiveness of the Exadata smart scan. ig_ziggy where lo_orderkey = 2294059489"
We now get the required, consistent, high performance that we require, without having to resort to consuming additional CPU resources by increasing say the number of available CPUs and degree of parallelism to reduce response times.